Autumn is here and Chapel Hill, Carrboro and Hillsborough have dozens of fun, fall events featuring music, film, art, poetry, food and even ghostly spirits. Make plans to spend a gorgeous Fall weekend in Orange County and take in one of these must-see event. September 23-24. 20th Carrboro Music Festival. Two days of music in Carrboro. On Saturday at Town Commons and Cat’s Cradle and Sunday, free music all over town 1 pm until midnight. 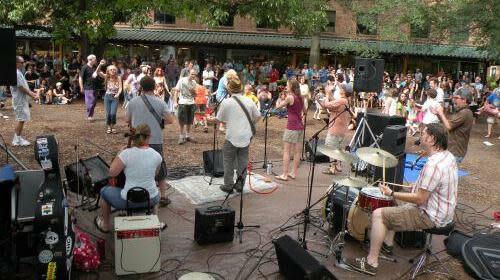 Two dozen venues throughout downtown Carrboro with over 190 musical acts as well as food, craft and non-profit vendors. Free shuttle bus from Carrboro Plaza Park & Ride from noon – 9 pm. October 1. Festifall. 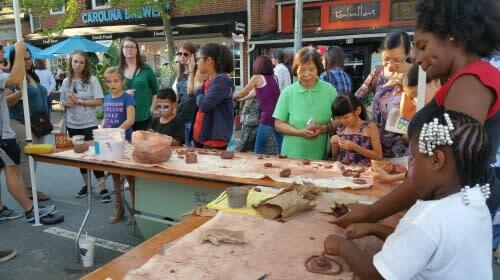 45th annual event showcases handmade artworks, along with live music, dance, kids activities, food trucks and more on West Franklin Street from Noon-6 pm. Free. October 18-21. West End Poetry Festival. Wednesday, Thursday, and Friday evenings and Saturday afternoon and evening. All events are free and open to the public. The festival will bring together poets of different styles, ages, races and ethnicities, and stages of development to share poems and their love of poetry. October 19-21. Yep Roc 20. Yep Roc Records is turning 20 this year, and they’re throwing a party. The label is hosting a three-day music fueled celebration in Hillsborough and Carrboro, NC, complete with an artist lineup of the best Yep Roc has to offer. October 27-28. Spirits of Hillsborough. Join the Alliance for Historic Hillsborough’s annual Haunted Tour through the historic district. With help from the Orange Community Players, local spirits will rise from the grave to educate and entertain. Tours last approximately one hour. The ghost performances are family-friendly, but please be aware that this is a walking tour over several blocks, and may include hills and uneven ground. Tickets are timed and groups depart from the Hillsborough Visitors Center (150 E. King St.). Friday tours every 20 min: 8pm, 8:20pm, and 8:40 and 9 pm and Saturday tours every 20 min: 5:20 – 9 pm. Tickets: FREE for children 11 & under; $12 for adults 12 & up. October 21. Cèilidh at Ayr. 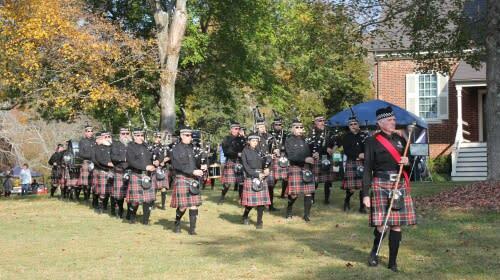 Celebrate Ayr Mount’s Scottish from 10 am – 5 pm roots at this Scottish festival of music, dancing, bagpipes and drums. Also a Wee Bairns Play Area, Food Trucks, Beer and more at Ayr Mount, 376 St. Mary’s Road, Hillsborough. Tickets range from $5 - $20. October 28. River Park Concert. Free downtown outdoor live music event for all ages celebrating local music, art, wellness and the environment. Performers for 2017: The Walker Family Band, Seth Walker, Alvin Youngblood Hart Muscle Theory and Eric Lindell. Food and beverages. 144 E. Margaret Lane, Hillsborough from Noon – 7:30 pm. November 4-5 & 11-12. 23rd Annual Orange County Open Studio Tour. Orange County; Over 70 artists invite you into their studios to see where and how they work. Sponsor: Orange County Artists Guild. November 18-19. 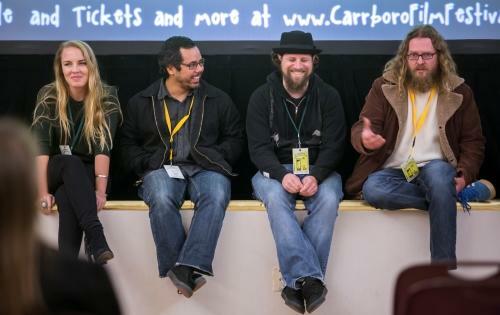 12th Annual Carrboro Film Festival. Featuring world class films of every length and genre, CFF is known for packed houses and standing ovations. In addition to two days of wonderful films, we have parties, workshops and networking opportunities throughout the fest weekend. A day pass is $15 and a two-day festival pass is just $20. Kids 12 and under Free. Tickets will be available for purchase on October 15, 2017 and are being sold by the ArtsCenter and at the ArtsCenter box office. Patty Griffin has served as the Chapel Hill/Orange County Visitors Bureau Communications Director since 1998. A native North Carolinian, she is a graduate of the University of North Carolina at Chapel Hill with a BA in Radio, Television & Motion Pictures. She is an accredited member (APR) of Public Relations Society of America and an associate member of Society of America Travel Writers.